How he fits: Samuel is a multiple-threat player as a receiver, kick returner and cover man on special teams . He was an All-SEC honoree with 62 catches for 882 yards (14.2 average) and an SEC-leading 11 touchdowns this past season. He also returned 23 kickoffs for 570 yards (24.8) with another score. Samuel is tough, competitive and scrappy. He's a threat to run after the catch. He’ll fit in right away in the slot for some team. The Lions signed veteran wide receivers Danny Amendola and Tommylee Lewis this offseason, but Detroit could certainly be looking to add some young talent to the position via the draft, especially in the slot. Key observations: Samuel logged 86 career receptions for 1,194 yards and scored 28 career touchdowns – 16 receiving, seven rushing, four kickoff return and one fumble recovery. He also threw one touchdown pass. Samuel broke 21 tackles on only 62 catches this past season. He’s dynamic and strong running after the catch, and was the best receiver at the Senior Bowl. Injuries have plagued him in college, however, so durability is a fair criticism of him. 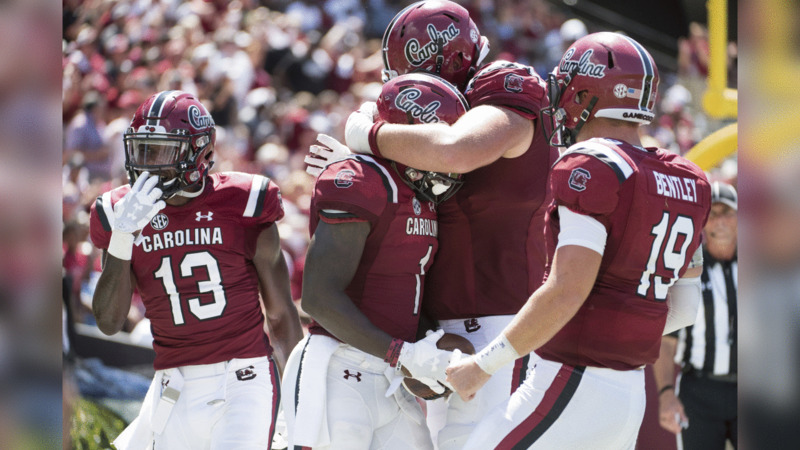 View photos of NFL prospect Deebo Samuel. How he stacks up: Jeremiah listed Samuel as the fourth best wide receiver in this draft and the No. 47 player overall in his list of the top 50 players in the draft. ESPN’s Mel Kiper Jr. mocked Samuel to the Tennessee Titans in the second round (pick 51) in his recently released two round mock draft. ESPN’s Todd McShay has Samuel going to the Denver Broncos, also in the second round, with the No. 41 overall pick. Scouts Inc. grades Samuel as the fifth best receiver in this class behind Marquise Brown (Oklahoma), D.K. Metcalf (Ole Miss), A.J. Brown (Ole Miss) and N’Keal Harry (Arizona State). Mike O'Hara takes a look at the top eight wide receiver prospects in the 2019 NFL Draft. Mike O'Hara takes a look at the top eight linebacker prospects in the 2019 NFL Draft. Mike O'Hara takes a look at the top eight tight end prospects in the 2019 NFL Draft.